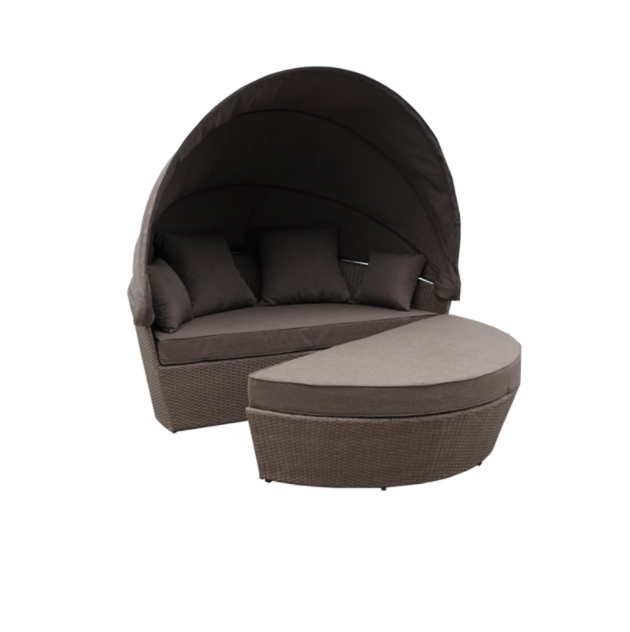 Spend your lazy Sunday afternoons relaxing on the Waiheke day bed with canopy. 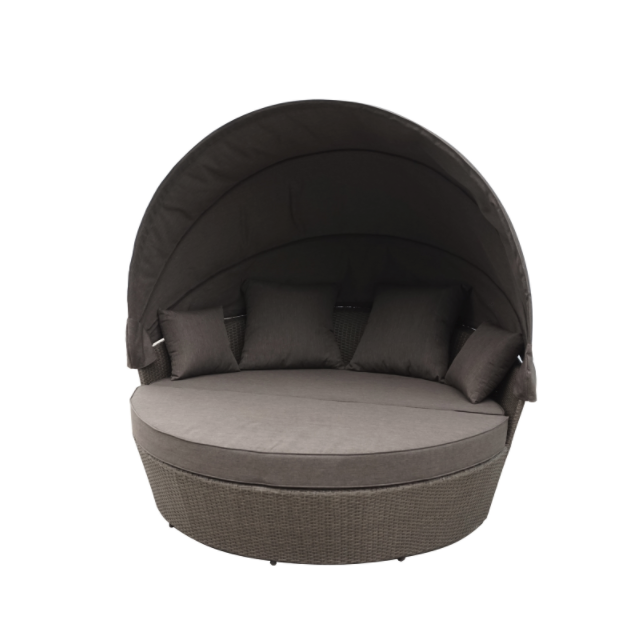 It features an aluminium frame with resin wicker weave. 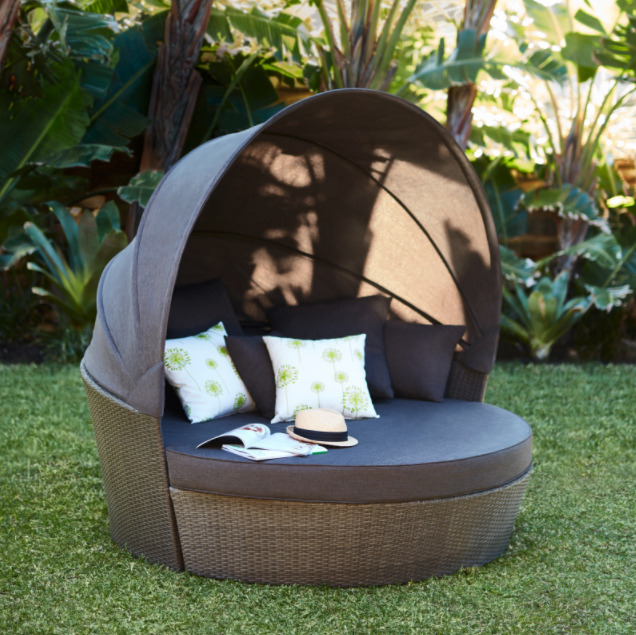 The comfortable padded olefin seat is complemented by four throw pillows. The retractable roof canopy can be adjusted depending upon your shading requirement. The moveable ottaman is perfect as a foot rest or additional seating for your friends. When you are ready to store away the day bed, the included cover will ensure it is protected from the elements.